Don't you wonder what's back in there? 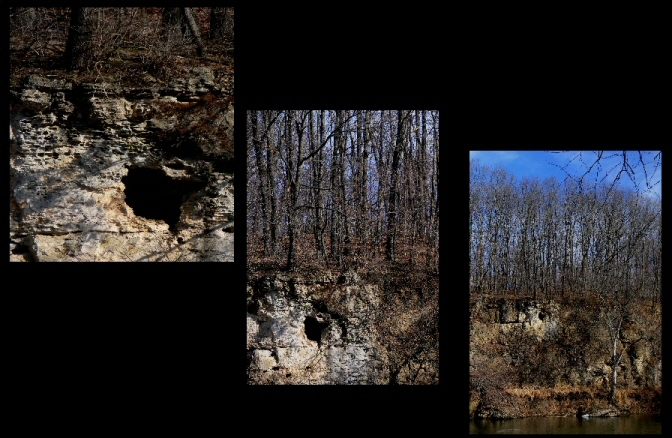 Limestone caves can have tiny openings, and be enormous inside. Looks like it might be accessible. Those have always caught my interest..... I just don't go poking around in them though. :-) I started to once but a rattler had the idea first.